Captains' Drive in Ball holder, your name, your yardage, and more or less as much detail as you think is tasteful. 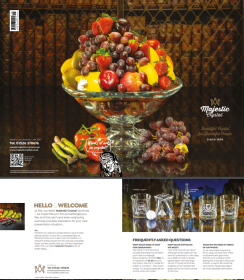 Simply email us your ideas, and we will send you an artwork proof before we engrave! 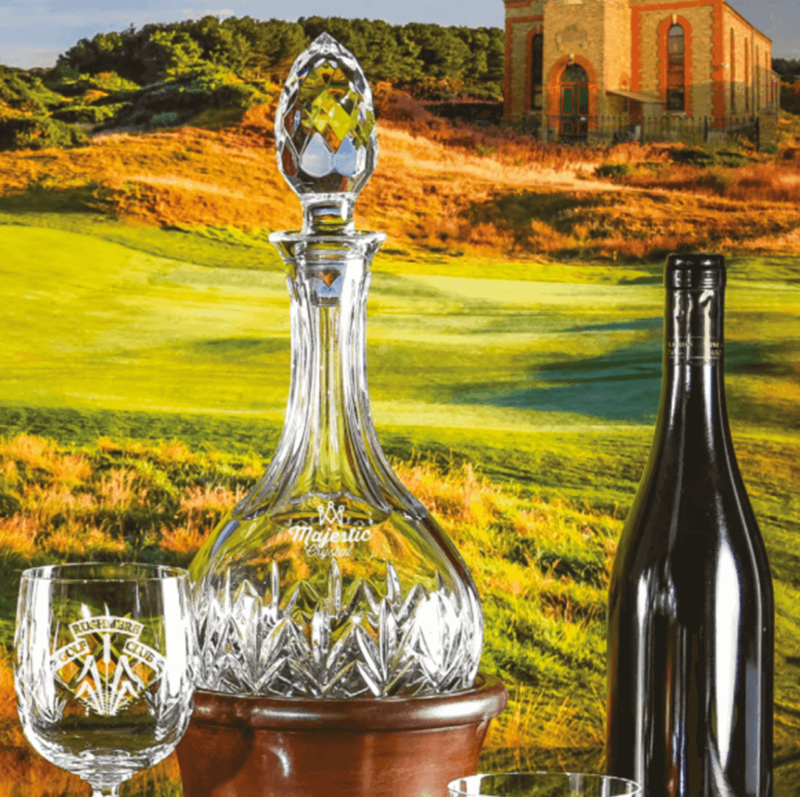 Captains Complimentary collection - as mentioned below, if you choose to delight your members with beautiful engraved crystal, (why wouldn't you! ), we will send you your own personalised piece of crystal from the selection above, with our compliments! Captain's Drive in Ball holder Tee Light, simply send us your details, and we will be in touch with some ideas to hold the ball that began your - possibly - most memorable golfing year! 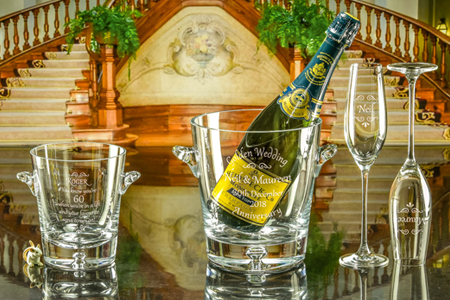 Nordic Champagne Bucket - shown here with a pair of Lydia Flutes, and a Nordic Ice Bucket. Champagne not included, however why not delight and excite the winners of your Captain's Day by popping a bottle of something sparkling inside? Lydia Flutes £10.45 each plus vat. First to Third prizes for your Captain's Day in 2019! Boxed pairs of glasses are always well received, and if you put a bottle of suitable dancing juice (Wine/Gin/Whisky) along side, So will you be. You aren't going to be Captain again, so make certain your Captain's Day is remembered for all the right reasons! Our boxed pairs are around £25.00 plus vat, so a bargain! First to thirds - Decanter & Two, Decanter, and Two. 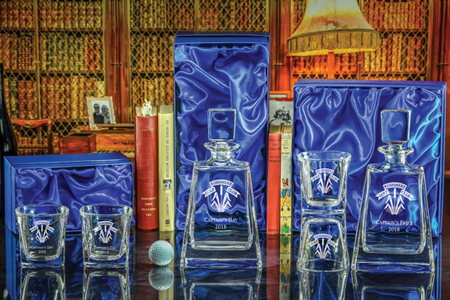 This set, our Admiral Decanter 123 is one of our most popular. Why not contact us with your ideas, and we will be in touch. Calling all Captains - haven't you done well - all those years you have given to the club - and now you get to have a bit of a rest - or should that be respect? 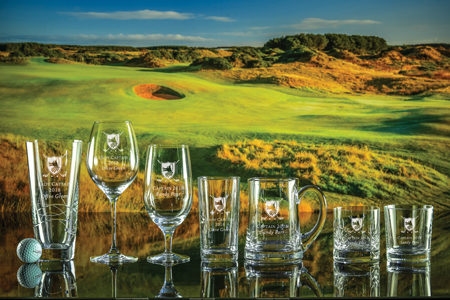 Prizes for the most important day in the Club's calendar, and one of the most important in your golfing career? We will be able to design your artwork, and we will have time to maybe give you pieces for your Charity, so you will feel really involved. Or - Email us with your ideas, and we will sort something out and email you the artwork and a couple of suggestions - and don't forget your complimentary crystal! Whilst you are at it - why not join England Golf Captains - great fun, and competitions on some of the greatest courses, organised by lovely people. "Received my Captain’s Day order yesterday and was very impressed with quality and speed of service. Also I was very pleased with the extra items which I will be using on my Charity Day. 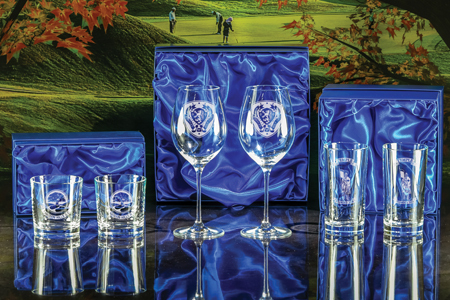 Please can you pass on a big thank you to all involved"
Thank you for sending through the crystal glassware recently for the Captain’s Day prizes. The Captain is extremely pleased with the items and when the Lady Captain saw them, she decided to order her Lady Captain’s Day prizes too! Jackie and I would like to thank you for making us so very welcome yesterday. It was nice to meet you and going through all the crystal prizes we would require for my Captains golf day. The artwork is great and we like it very much, l will leave it to you to put the required artwork on the prizes as you think would look good. Thank you once again for everything you are doing in making my captaincy a great day. 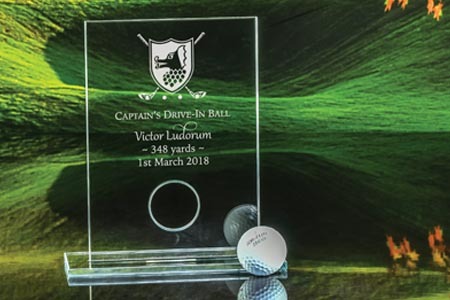 There is no doubt about it - engraved crystal for the prizes on Captain's Day will be extremely popular - after all, it is the one day in the year which defines the Captain's style. Even if you are giving Tellies 'n' Toasters small pieces such as paperweights and pillars of wisdom make excellent 'keepers' for when the electricity fails. The following is based on no more than 30 years experience... However you don't have to believe any of it. The main prize should be engraved Captain's Prize 2019. Not Captain's Day Winner - as the Winner of Captain's Day - receives the Captain's Prize. Everything else is engraved with Captain's Day 2019. Nearest the Pin/Straightest Drive, in our humble opinion, is the only additional wording to be allowed. Some club Captains - (the really old, rich & traditional clubs) will only give a silver spoon, or a pebble, or similar. The more modern and successful Captains will spend their annual subscription on prizes. Consider whether the competition is a singles men only affair, or a pairs/team family friendly event, bouncy castle, relaxed dress code for the day! Talk to former Captains, especially from other clubs to see what they would do again - and not ditto. Have a few spare gift/prizes for the unforseen event that will happen - hole in one/thanks to the Caterers/Club Manager/your Significant Other. Some Captains relax the dress code, hire a magician and clowns for the children - and the clubhouse is packed -and the bar takes thousands. 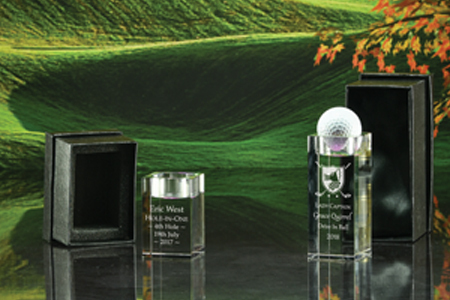 We have engraved crystal for hundreds of Captains, so have lots of experience in helping the prizes fit your budget. Charity Day, especially if it starts with H.
Last but not least - don't forget to join your County Captains Association - great friends, golf and food for the rest of your life!